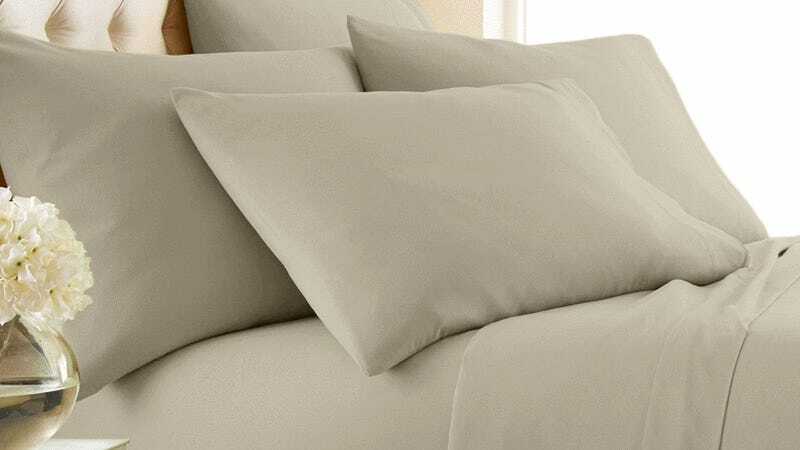 The Bamboo Comfort 4-Piece Luxury Sheet Set are made from a blend of eco-friendly bamboo and high-strength microfiber, making them hypo-allergenic, wrinkle-resistant, and ultra soft and comfortable. You can pick up a complete set in the color your choice from $30 - $35 (depending on size) with code PREZDAY15, over 60% off their normal price. Full details here.